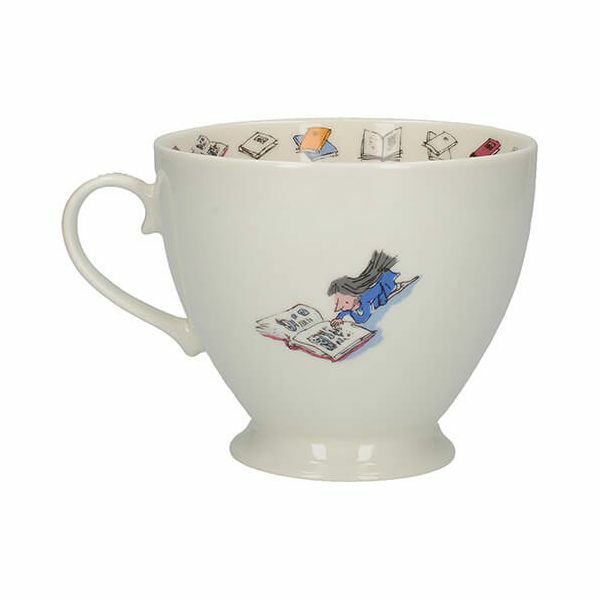 This Footed Mug is perfect for tea and coffee and features the stories of Matilda and her adventures. 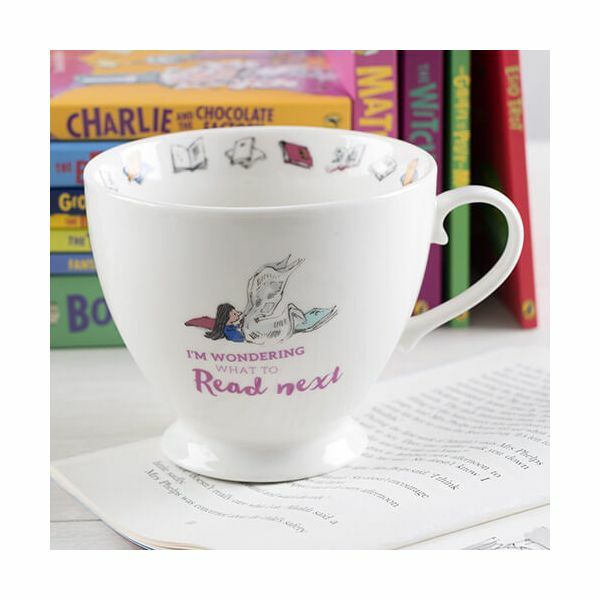 Made from fine bone china this illustrated story has tiny books around the inside edge in delicate designs. 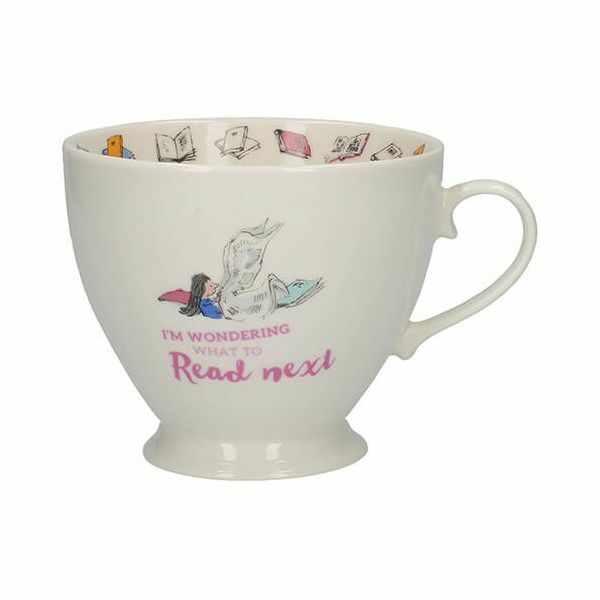 The side of this illustrated mug features Matilda reading a giant book with the words 'I'm Wondering What To Read Next'.